If you’ve ever ordered lunch in a drive-thru you know the importance of a quality microphone. If you can’t order a hamburger from someone who is only 20 feet away from you, how can you discuss strategy during a meeting with people that are hundreds of miles away? This is where CTG Audio and their CM-01 & CM-02 ceiling microphones can make all of the difference in the way you are able to interact during meetings. 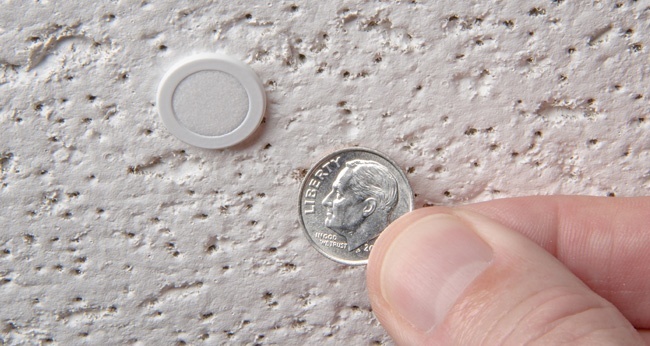 These microphones can be installed in a tile ceiling and are virtually invisible, smaller than the size of a dime. The CM-01 and CM-02 are specially designed with a pressure sensitive, tensionless low-mass element that is integrated with an FET low noise amplifier. This sophisticated design allows for ultra-smooth frequency response, providing excellent feedback and stability for voice reinforcement, as well as teleconferencing applications. In average acoustical settings each microphone performs with a pickup radius of 10’ to 12’. Ideal performance for rooms with perimeter seating. No more needing to walk up to a specific location to be heard. Clean clutter-free environment. No visible wires. Allows for the vocal pickup of a maximum number of participants, with even a minimum number of microphones. Furniture can be rearranged without compromising audio performance. Flush mounting makes microphones virtually invisible. Unwanted table noise (pen clicking, paper shuffling, etc.) is minimized. Participants can move freely around the space while maintaining an even transference. As businesses and organizations continue to grow and cover a wider footprint with internal and remote employees, having the ability to organize, collaborate, and communicate will only become more important. However these remote collaborations can only be as effective as the platforms available. Link Integration Group is a Baton Rouge based commercial integration firm that designs, installs, and services A/V integration and automation projects.